Thank you to everyone who got in touch with us about running FSX: SE with Windows 10. It seems a lot of you are having mixed results ranging from everything working fine to nothing working at all. Windows 10 is a brand new operating system, and like all new OS, a few problems are likely to pop up. Likewise, many graphic and sound card makers are yet to release driver updates which are compatible with Windows 10. Things will get better, however it will take a little time. We understand that this doesn’t stop the situation being any less frustrating for those of you experiencing unexpected problems. Since the launch of Windows 10, Microsoft has released a number of updates to the operating system. We advise that you download and install these, as many players are reporting improvements in running FSX: SE after having done so. For the latest information regarding Windows 10 updates and information about how to install these please click here. 6. 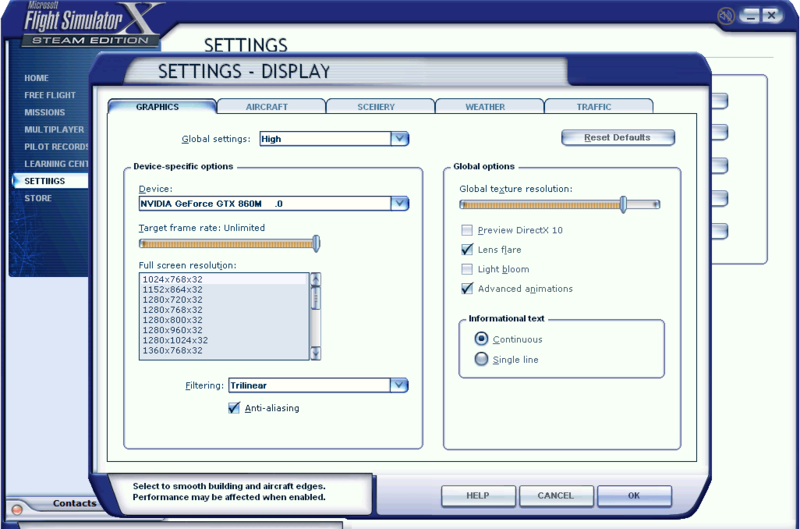 Try running FSX: Steam Edition with or without Windows 8 compatibility mode. To do this, right click on the game’s desktop icon, select “properties”, then look under the compatibility tab. Either way, you will still need to run FSX: Steam Edition as an administrator. 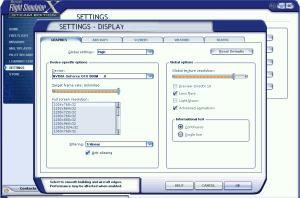 You can also find the Windows compatibility trouble-shooter in the control panel. Click on it and follow the instructions on screen. 7. Make sure all of your files are verified through Steam. This enables Steam to compare all the Microsoft Flight Simulator X: Steam Edition files installed on your computer against the ones it believes you should have. If any are missing, Steam will update and download them. In order to complete this procedure, you will need to be connected to the Internet. Re-install DirectX 9 after installing Windows 10. To do this, click here visit the DX9 website and follow the instructions. If FSX: Steam Edition is still not working, you may wish to revert to a previous version of Windows. Please note this could adversely affect other programs on your PC. If you find a solution that works for you or think that you have found the cause of an issue please share it either here or on our Steam forum so your fellow players can learn from your experiences. As we continue to investigate in the studio, we will keep you updated on any further developments. Dangerous Approaches: Your Questions Answered!